A Garden Guy Landscaping will design, install and maintain residential and commercial landscapes. We specialize in realizing, designing and installing outdoor dream landscapes where the yard becomes a true extension of the home. The design process begins with an initial consultation to discuss the needs of the project. We believe strongly in having the client active throughout the design process. Whether it's sod, plantings, hardscape, edible gardens or lighting; our professional staff will ensure that everything is completed to the desired specifications. The same attention to detail and cooperative effort between homeowner and designer continues until the project is complete. Commercial and Residential Snow Removal Services. Please contact us for snow removal throughout the Chicagoland area. Landscape lighting has become an increasingly popular trend in the outdoor market. Lighting extends your time outside, creates an outdoor ambiance in the property. 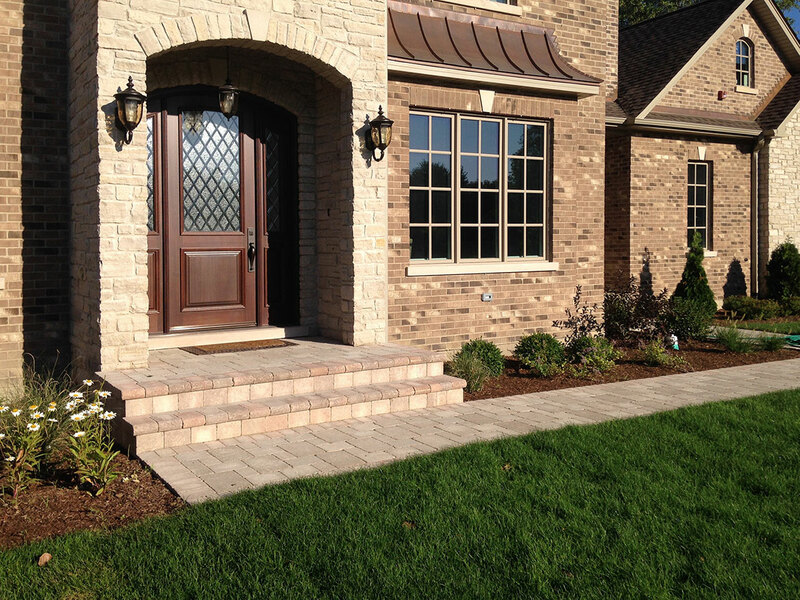 Along with typical services of turf maintenance, we also care for planting beds, flower gardens and hardscapes. A Garden Guy maintains a high expectation for our workmanship and takes pride in meeting all of our client's needs. All of our designs, installations and maintenance make an effort to create sustainable landscapes. This is done by following strict horticultural practices, being attentive to our clients and offering superior individualized service to all our clients. Matt is a great professional to work with. Provides great pricing and quality work for the job we have requested. We had our boring grass filled backyard redesigned and a brick walkway from the side of the house installed. Professional recommendations and advice were also given even though it wasn't part of the work that he was doing and he made sure to have their job done in a timely manner.